The outfit photo in the last post shows what I wore to Mamau and Papau’s and above is the jewelry I wore (the earrings are Frozen inspired from etsy, but I did not see them for sale when I looked at the shop to link). We watched Maleficent. My brother left to propose to his girlfriend (he had given her dad a note for her Christmas stocking which told her meet him at a lake). We went to Mamau and Papau’s and watched the Hallmark movie they recorded for us: Christmas Under Wraps (I think that is the name). * Nick might be the best, at the least one of the best, Hallmark heroes ever. We ate a lovely meal of ham, deviled eggs, green fluff (I am not sure what is in it, and I do not eat it), and macaroni and cheese. 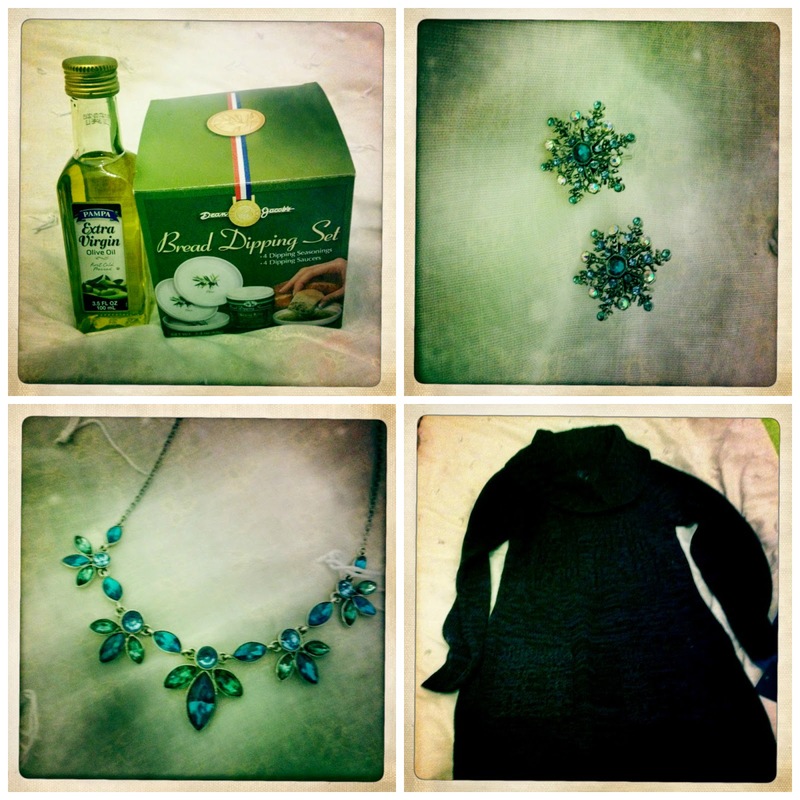 We finished the movie and then opened gifts (my gifts are the other two photos). *Edit, no, they recorded The Best Christmas Party Ever. I didn’t care for Christmas Under Wraps overmuch. Love the earrings! How exciting for your brother and his fiancee, the ring is beautiful! The ring is beautiful isn't it? I just love looking at engagement rings. I love the earrings; I tend to wear dangling earrings, but if the studs are bigger they look better than the small ones.